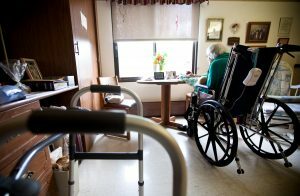 Over the past eight years and despite the recession in 2008, the cost of nursing home care has increased by nearly 37%. According to Genworth’s 2016 Cost of Care Survey, the average cost of private nursing home care in the US is now $92,345 per year (or $235 per day). Just eight years ago that average was $67,527 per year. With such high costs, it is no wonder that more and more seniors and family members who are looking for care for their aging loved ones are now turning to in-home care as a better alternative. This increased demand for in-home care means more job opportunities for private pay Caregivers, registered nurses, geriatric care managers and certified nurse assistants. According to the US Department of Labor, home care provider jobs are growing faster than in any other industry sector. This is good news for Caregivers and those who need care alike. With the demand so high and the increase use of the internet, more and more Caregivers are striking out on their own and setting their own rates, which are actually lower than that of going through a traditional private pay or private duty agency. While rates for in-home Caregivers are increasing, because they are no longer burdened with the overheard of a private duty agency, they are actually much more affordable for elderly clients and their families. The difficulty is that until now, there were no good online tools for Caregivers to use to help them connect with those looking for care, and help them with the matching, interviewing, scheduling, and payment of care. The Genworth Survey also found that 78% of seniors prefer in-home care to nursing home care. Leaving their home and moving to an unfamiliar place can be quite stressful for elderly patients, who would rather be able to stay in their home where they are comfortable. Many seniors also like to retain some independence, which is easier to do living in their own residence assisted by a Caregiver rather than in a nursing home. In the past, one of the deciding factors for moving into a nursing home rather than opting to hire an in-home Caregiver has been the difficulty of seeking out private Caregivers. Today, online resources that match Caregivers and Careseekers make the process easy and streamlined. Sites like WellBeyondCare.com not only offer a sophisticated matching and search function, but also include cool features like Caregiver ratings and online care plans; and detailed profile views so that Careseekers can assess a Caregiver prior to interviewing, and can determine the most qualified and better suited to help them with their specific care needs. In addition, the company has a sophisticated matching capability to help further aide in getting the perfect Caregiver. Another feature only offered by Well Beyond Care is when a creates a profile on line, they get a nurse navigator who is in the care recipient’s town to help with local resources. By disintermediating the costs associated by hiring a private duty company, Careseekers and their families are better able to keep their costs low. For the Caregiver, the ability to set your own pay rate lets them control their income. For in-home care providers, online tools are a great way to access the many available caregiving jobs in their area, and they offer those looking for care an easy way to manage their care either from home or remotely.